If working long hours, pushing the limits and getting back home late was not enough- we all wanted to be lazy. At least for a day! Lazy as we think; is not always as bad as it sounds- ask Peter Taylor and he will tell you that. I'd love to be lazy- so I ask him how can I be one? 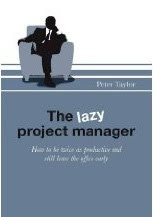 I haven't read your book, but read the reviews and understand that you are saying through your book "The Lazy Project Manager" that being lazy doesn't mean being bad at your job. In fact, you can be lazy and productive- is that true? What did you mean by that? By advocating being a 'lazy' project manager I do not intend that we should all do absolutely nothing. I am not saying we should all sit around drinking coffee, reading a good book and engaging in idle gossip whilst watching the project hours go by and the non-delivered project milestones disappear over the horizon. That would obviously be plain stupid and would result in an extremely short career in project management, in fact probably a very short career full stop! Lazy does not mean Stupid. No I really mean that we should all adopt a more focused approach to project management and to exercise our efforts where it really matters, rather than rushing around like busy, busy bees involving ourselves in unimportant, non-critical activities that others can better address, or indeed that do not need addressing at all in some cases. The Lazy Project Manager explores the science behind ‘productive laziness’ (yes there is some) and the intelligence behind ‘productive laziness’ (and yes there is some of that as well). It attempts to share with the reader some of my own experiences that have led to my style of project management where, it is often observed, that I appear to be less stressed, less busy and yet more productive. ‘Productive Laziness’ is the term that I use to express this approach and it is a style of working that is beneficial to an individual, through a better work/life balance, and to the project(s) that they are leading. When someone is starting out in their profession (project management), no one will usually tell you to "be lazy". How can ‘newbies’ be lazy (if allowed) and yet be good at their work and impress their team? Indeed, when starting out in a job or role for the first time there is often a belief (both from the individual and sometimes also the manager) that being extremely busy and putting in long hours can be productive. This is rarely the case over any length of time. Now I am not suggesting that on day one you declare that you are off at 5pm regardless of what is going on, no I am just saying that by just being in the office or on site (in the clear visibility of management) does not equate to doing your job to the best of your abilities or on a productive manner. No one will ever tell you to be lazy but they equally won’t tell you to be busy. The expectation is that you will get the job done to a good level of quality and within the expected time/cost frame. If you can achieve this and still leave time for other matters that will raise your profile and increase your personal skills and knowledge then all the better I say. How did this concept of being lazy come to you? Have you always been "lazy"? Well if I am truly honest it all began with an insult from my manager. At the time I had been working on a training program for our project managers and one of the common questions people asked me was ‘how do you manage to seem so relaxed and yet run a large business operation with hundreds of projects?’. I was on my way back from Milan, Italy, and travelled with my manager. Now we have worked together for the last 15 years across three companies and he does know me very well. As we chatted about what would we like to do in life I mentioned that I enjoyed writing and speaking/presentations and that sort of thing could be fun to do. He agreed saying that I would probably be very good at this but that I was too ‘lazy’. And there you have it – an insult? Perhaps but more an insight really, he had identified the key to describing my approach to work and life. From this came ‘The Lazy Project Manager’ and the world of productive laziness. Now have I always been ‘lazy’ – no I don’t believe so. Certainly in my early days of project management I worked long and hard and definitely was a ‘busy, busy bee’ but after completing a major three year project I looked back and reflected on the effort I had put in to make the project successful. I realised that that much of what I had done was unnecessary and that I often created work for myself that was either not really essential or that others could have done (probably better that my efforts if truth be told). 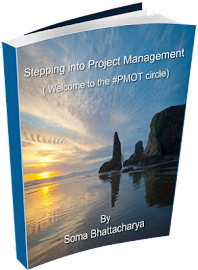 The Lazy Project Manager was first a website in November 2008 and then a book in September 2009. Now I would love to share the world of productive laziness with the world through speaking engagements. Wow! Tell me one thing that "laziness" should not be considered as? An excuse to avoid doing something critical! The Lazy Project Manager and the art of ‘productive laziness’ refers to the Pareto principle (also known as the 80/20 rule), which states that for many phenomena 80% of consequences stem from 20% of the causes. The principle was in fact suggested by management thinker Joseph M. Juran but it was named after the Italian economist Vilfredo Pareto, who observed that 80% of property in Italy was owned by 20% of the Italian population. The assumption is that most of the results in any situation are determined by a small number of causes. So ‘20% of clients may be responsible for 80% of sales volume’. This can be evaluated and is likely to be roughly right, and can be helpful in future decision making. The Pareto Principle also applies to a variety of more mundane matters: one might guess approximately that we wear our 20% most favoured clothes about 80% of the time, perhaps we spend 80% of the time with 20% of our acquaintances and so on. The Pareto Principle or 80/20 rule can and should be used by every smart but lazy person in their daily life. The value of the Pareto Principle for a project manager is that it reminds you to focus on the 20 percent that matters. The value of the Pareto Principle for a project manager is that it reminds you to focus on the 20 percent that really matters. These are the critical actions that you should prioritise on and that will deliver the most benefit to your project. Three ways every project manager can be ‘productively lazy’? Well where better to start than to focus the art of ‘productive laziness’ in the area of communication within the project. The would be ‘lazy’ project manager will think very, very carefully about what they need to communicate and how they need to communicate it and why they are communicating what they are communicating. The general guidance is that some 70-80% of a project manager’s time will be spent in communicating. That is 70-80% of your time! So, if you play the productive lazy game at all, and you only apply it in one area of project management it makes blinding sense to do it here, in communication. This is by far the biggest activity and offers the greatest opportunity of time in the comfy chair. Imagine if you would able to save some of that 70-80% of your time, how much more relaxed would you be? Beyond this then consider how you are using your project team. 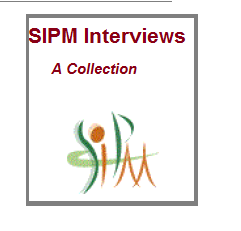 Are they being truly utilised in the sense of applying their combined knowledge and skills? Could you use them more, delegate more, trust them more, and benefit from their experience more? I bet you could. Try it. Finally, something I have always advocated if having fun. Whilst this does not necessarily allow you to be more ’productively lazy’ it does bring a very positive feeling to any project and thus should encourage the wider team to more ‘lazy’ (in a good way of course). You have to laugh; well I think you have to laugh. Without a little bit of fun in every project then the project world can be a dark and depressing place. Setting a professional but fun structure for your project can really be beneficial for when the problems start to rise up to challenge your plan of perfectness. And problems will inevitably arise. "Excuse me madam, can you help? I promised a friend I would meet him an hour ago, but I don't know where I am’. The man replied: ‘You are in a hot air balloon hovering approximately 30 feet above alkali desert scrub habitat, 2.7 miles west of the Colorado River near one of the remnant populations and spawning grounds of the razorback sucker’. ‘You must be a biologist’ said the balloonist. ‘Well’ answered the balloonist ‘everything you told me is technically correct, but I have no idea what to make of your information, and the fact is I am still lost. Frankly, you've not been much help so far’. The woman below responded ‘You must be a project manager’. The interview inspired me so much, I went ahead and ordered the book last week. It hasn't been delivered, however I'll let you know what I thought of the lazy goodness once I have devoured it. 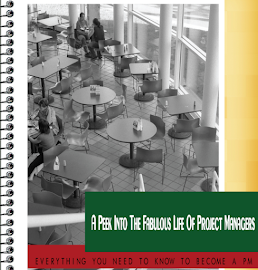 Just a note to say that, based on the success of the book, and just released is ‘The Lazy Project Manager’s’ Productive Laziness Training Program. With this project management training course you can learn more about productive laziness and how you can apply a number of simple techniques and approaches in your own projects to make your life a whole lot less stressful. Learn how to be twice as productive and still leave the office early! This project management elearning course is made up of 4 Programs taking you through The Art of Productive Laziness and the full project lifecycle. Why some people make it and others don’t? Hows your team doing today?